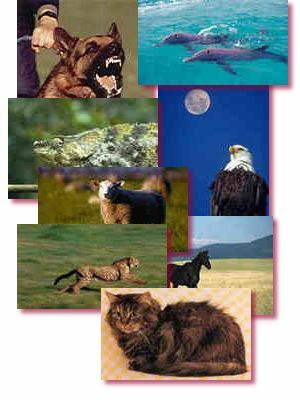 Animal Acting has provided animals and various other creatures for 1000's of productions since it was formed in 1979, from a simple stills photograph to major movies shown worldwide. Animal Acting is probably the foremost supplier of all types of creatures to the film, television, promotion and advertising industry in Europe. Our directors have been actively involved in the training of animals for over 40 years. The company was originally formed as Animal Acting Agency Ltd in 1979 and evolved into Animal Acting in 1986. Because of the companies rapid growth it was merged with the DB European Group in 1998. This merger has enabled the company to expand into other areas and has further strengthened the company to enable it to provide an even more extensive service to its customers. The primary function of the company is to rescue and rehabilitate animals of all types and is actively involved in various breeding programs. It has always put a great emphasis on animal behaviour, which in turn has led to various training methods evolving, all of which are sensitive to the animal's natural behaviour which we hope will lead in some cases to animals being repatriated to their natural surroundings. Originally only the occasional animal was supplied to local stills photographers and friends who worked in various production companies in the UK. Very soon word spread about how easy these animals were to work with and how professional the staff are and demand soon turned from an occasional outing with one of the animals into a full time occupation. Because of our commitment to animals being trained by kindness without cruelty we are well known for being able to get the most authentic, not stage-managed, performances in the shortest possible time, from the animals we work with. It looks far superior on camera and importantly the animals being used for filming always enjoy it. For our customers it ultimately saves time and money. So the next time you see those words 'No animal was harmed in the process of making this film' if it was preceded in the credits by 'Animals trained/supplied by Animal Acting' you should add 'and they enjoyed it'. It's because of our commitment to animal welfare that we compiled and comply with our Guidelines.